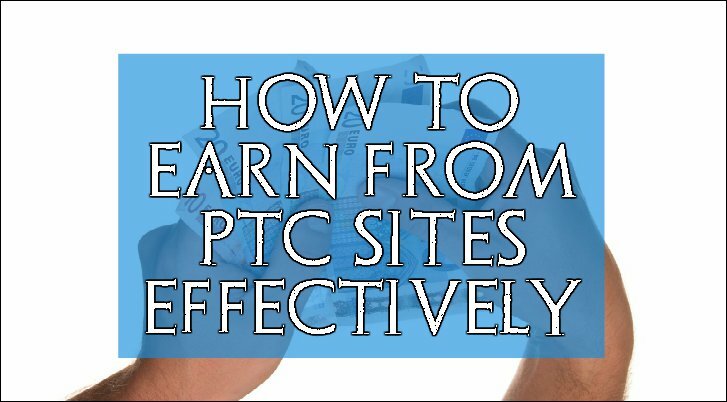 You are here: Home » PTC » How to earn from PTC sites effectively. Earning serious money from ptc websites is not an easy task. New ptc users must understand that they are not going to earn any serious cash only by clikcing on the available advertisements each ptc site provides. Even if you join on fifty different ptc websites (if you find that many legit ptc sites) and you click on all the available advertisements, you will still not make any significant amount of money at the end of each month. Let’s say you’ve actually found 50 legit and paying ptc websites (which again, I doubt you will) and you click all the available ads every day. Let’s say you earn 2 cents every day from each ptc website you’ve joined. I’m sure this is not the amount of money you imagined your self of earning before you join them. You cannot even buy your own food with $30 let alone sustain your family. Method #1: Refer as many people as possible to become you direct referrals and earn from their earnings. Method #2: Complete tasks and offers. When other people sign up as your direct referrals you get a percentage from everything they earn – for life. Clixsense, the ptc website I promote most of the times, pays me 10% from everything my referrals earn (Note that I am a Premium Member). I’ve w ritten many articles in the past on how to get direct referrals to your ptc website and how to properly promote your affiliate links to media buying networks. What most ptc users fail to understand is, that this method requires you to be patient and actually spend money on advertising. How do you think they accomplish this? They actually advertise their business. Yes, they consider their ptc website they are affiliated with, to be their business. If you had a business wouldn’t you advertise it to bring in more customers? Of course you do.. 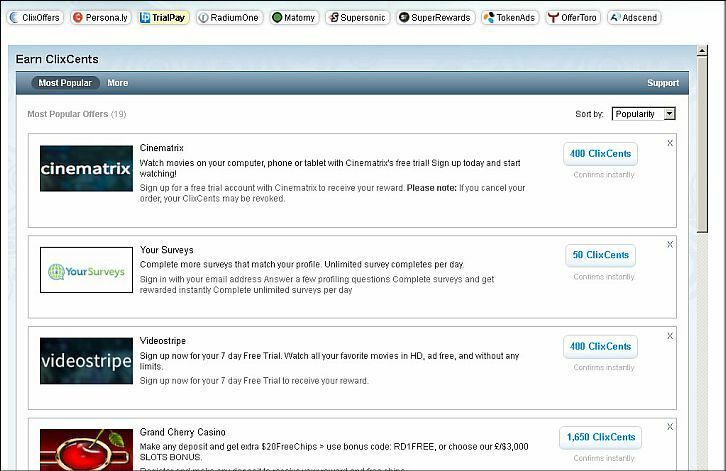 So if you want to earn from ptc sites effectively, you need to get direct referrals. The more active direct referrals you have the more money you will make. Most ptc websites these days, in order to help their members to make more money are including more and more methods of earning on their portfolio. Two of these methods are Tasks and offers. Tasks are mini jobs posted by different businesses that pay from $0.01 to $0.15 each. 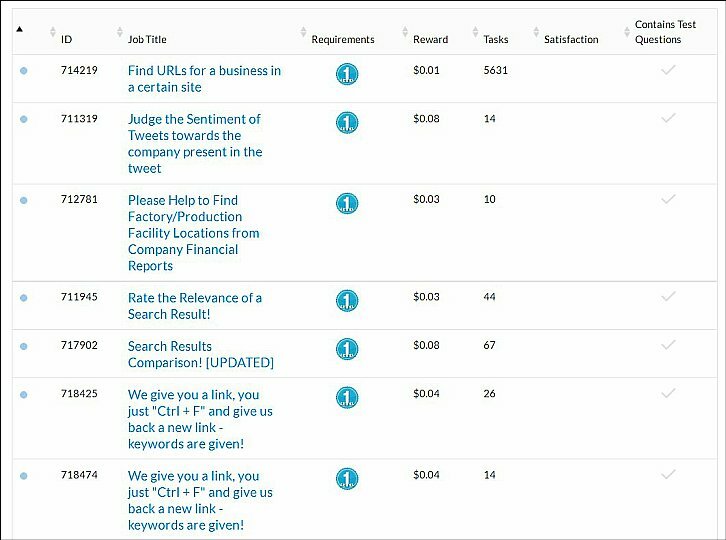 As you can see in the screenshot below there are thousands of tasks available for completion and you will get paid up to $0.08 each one you complete. Offers are special offers given by different companies. You can earn $0.05 if you install this application on your smart phone. You can earn $4 if you become a member to this online service for 7 days. You can earn $10 as cash back if you buy this software. You can earn $0.03 if you complete this small survey. You can earn $2 if you sign up to a website and use its services. I once earned $6 in 2 minutes by completing offers and I continue to earn more every day. If you want to earn from ptc sites effectively I can only see the two options I mentioned above. If you have something else you would like to add ,please do so in the comments section below. Also I would really appreciate if you share this post with your social networks.